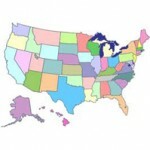 PEO Pros can assist an employer with PEO service in all 50 states. Each state has its own laws and regulations with regard to PEO and ASO services. While there are advantages to using a PEO in any state, there are certainly things to know about that vary from state to state. For example, some states are monopolistic workers’ comp states, such as Ohio and Wyoming, where you will be on state workers’ comp insurance policies whether you are with a PEO or not. Some states, like Texas, still allow true “Employee Leasing” rather than the more common “Co-employment” situations. Co-employment defines the responsibilities of the PEO and the Client explicitly in a contract called the Client Service Agreement. Other states do not distinguish between PEOs and staffing services.